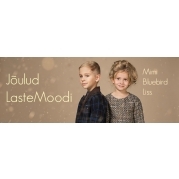 During 20.02.2018-28.02.2019 Enterprise Estonia is supporting Mimi Disain project “Eestis Disainitud Lasteriided Uutele Turgudele“ through European Regional Development Fund. The project total cost is 49 184,63 € that is meant for development of Mimi brand abroad and export activities on the target markets. Specifically trade fare participation, preparation and visual update of the brand.